Looking for a way to bring your limp houseplants back to life? Try this dollar-store DIY to get your greenery back in shape. Sure, your indoor plants might be doing just fine on their own with your current watering schedule and carefully selected locations. But what if we told you that they could be doing better—in, say, their own custom-built greenhouse? An indoor greenhouse isn’t just for show, although it does pack plenty of style into its tiny structure. For starters, it keeps temperatures stable, boosts humidity, and increases carbon dioxide levels inside the enclosure for quicker-growing plants. Sheltering your greenery also keeps pests out and reduces the risk of disease. 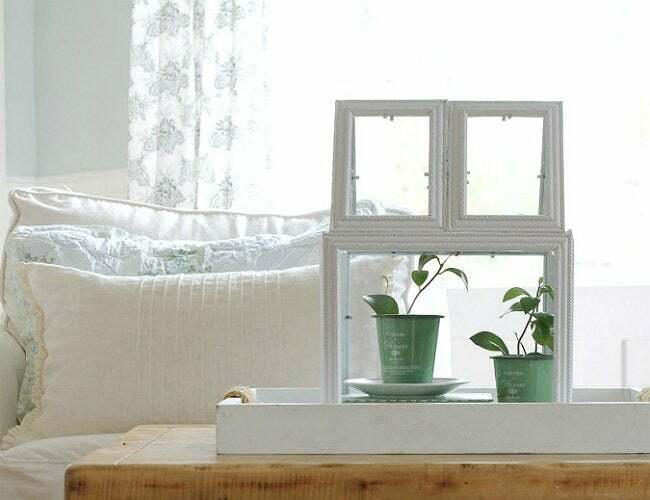 A simple glass box creates an optimal environment for your plants, guaranteed to take your gardening game to the next level. And with this idea from The Wicker House, making your own requires just a trip to the dollar store and a little creative repurposing. This blogger’s smart substitute for glass window panes? Emptied photo frames. That’s right: To create her indoor garden, she picked up a total of eight picture frames and removed the backs, cardboard padding, and any prints inside them. While there are some things you probably shouldn’t ever buy at the dollar store—fresh produce, pregnancy tests, and hair gel, for instance—it turns out that it can be the perfect source for basic DIY supplies. Cheap, lightweight frames work best here so that they can be assembled with only hot glue and some duct tape. 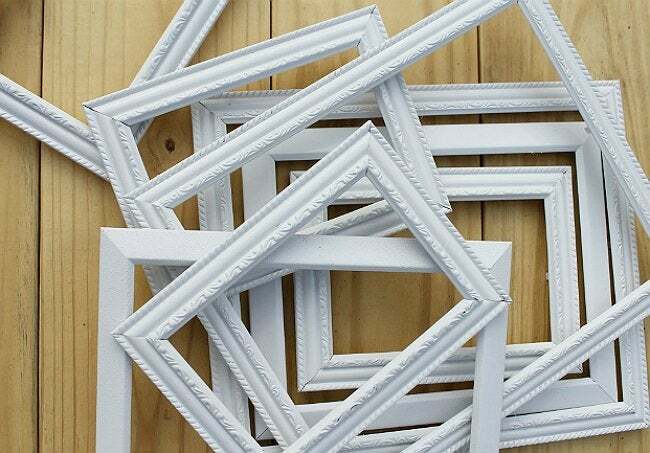 The resourceful crafter selected two 8″ x 10″ frames for the sides of the greenhouse, two 5″ x 7″ frames for the ends, and four 4″ x 6″ ones to create the slanted roof, all spray-painted white to visually unify the mismatched collection. The end result: a cheap yet chic tabletop structure that offers the consistent environment houseplants need to truly thrive. Follow The Wicker House’s full tutorial, and you may be surprised at just how quickly your plants put down roots—and settle in for the long term.